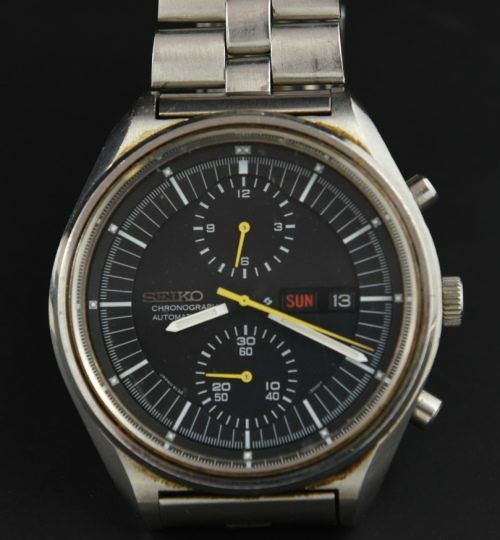 This circa 1969 SEIKO 6138-3005 is truly underrated. 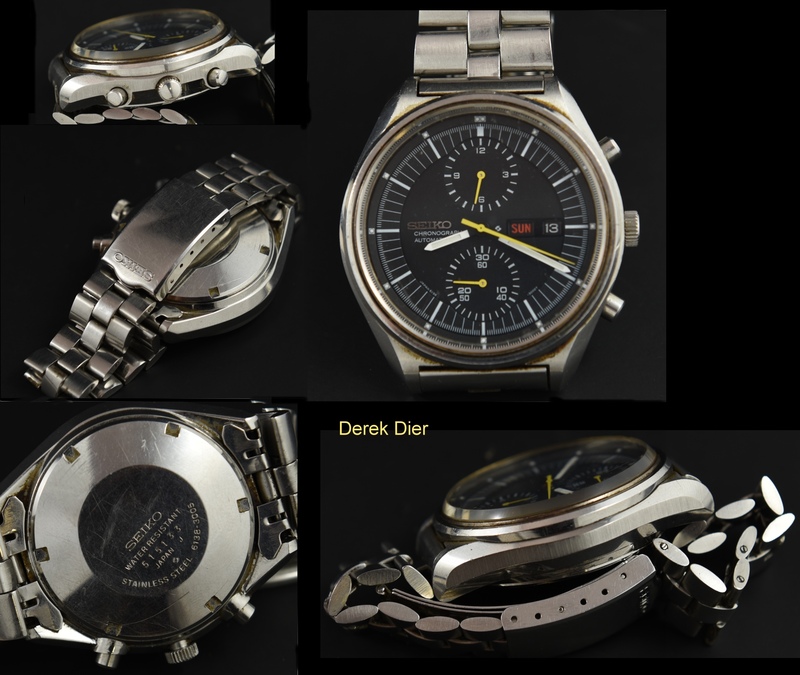 The large 42mm. case and bracelet are original and unpolished. The dial and hands are original. The fine 21 jewel automatic movement was one of the VERY FIRST automatic chronographs on the market. This movement was just cleaned and is accurate. Grab these while they are inexpensive.